Purchased from his pastor for $2, the Cowboys’ running back bought his first car during his junior year while playing football at Florida Atlantic University. He’s continued to drive the ’91 626 through graduation and right on into his NFL career. Nicknamed “Bentley,” Morris’ 626 is a reminder to stay humble. 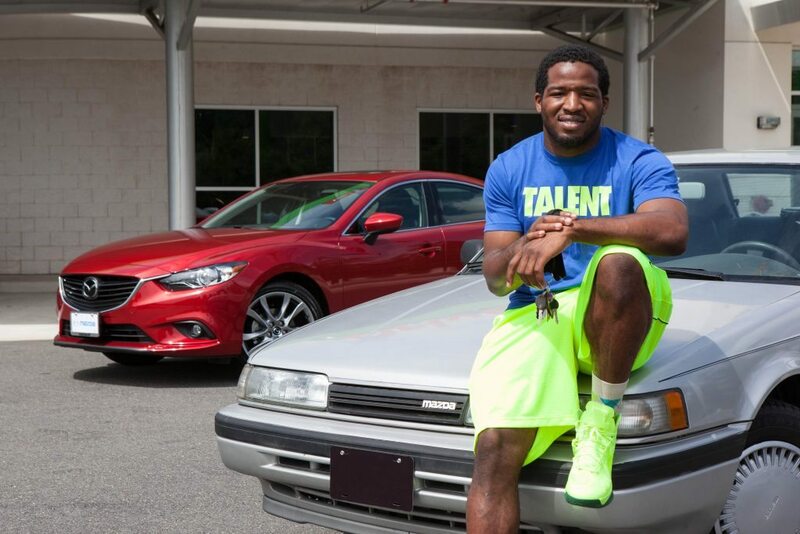 In 2013, Morris was a young star playing for the Washington Redskins, and his devotion to his now-vintage Mazda made the news. 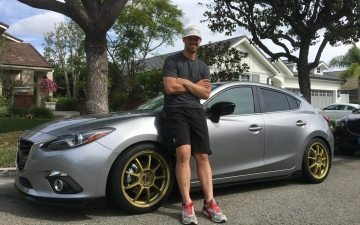 When Washington, D.C. Mazda dealers learned about Morris and his car, they got together and decided to extend the life and memories of the vehicle. 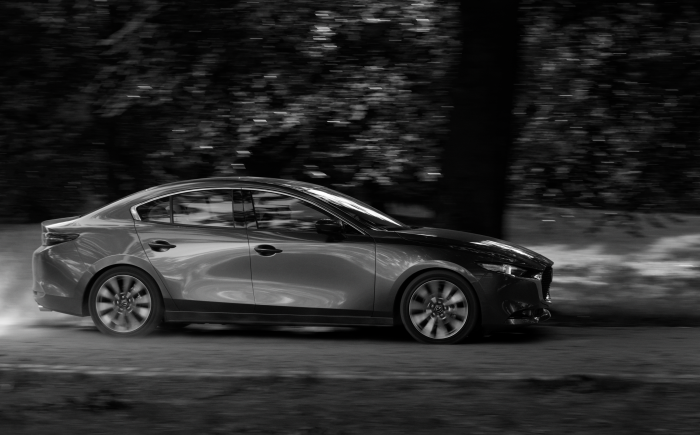 The Mazda dealers got creative and had three goals in mind – to return the car as much as possible to its 1991 specifications, to rejuvenate all the mechanical systems to as-new condition, and to add just a few carefully selected modern conveniences and safeties. The body was stripped to bare metal, and new panels were installed to replace any dented or rusty metal. Then three coats of the car’s original paint color were applied, followed by a pearlescent top coat and two clear-coat layers to protect the finish. All new trim pieces were installed, including some that had to be reproduced in Japan from the original molds. The Mazda dealers saved the best for last. They completely restored and customized the interior for Morris, installing a 7-inch Pioneer touch screen stereo and navigation system with Rockford-Fosgate speakers and a back-up camera. “Bentley” also received remote power door locks, alarm system, and a complete sound insulation layer with Dynamat products. To match the car’s nickname, the Mazda dealers also installed a custom hand-stitched dash cover, and new seat upholstery and door panels with Bentley-style diamond quilting stitched into the fabric. An Alcantara headliner and ultra-plush carpets finished the project. Everything was created to match the original gray interior color. After the restoration, Morris still uses his Mazda 626 as a daily driver. And while his teammates may drive more expensive cars, Morris’ 626 is rich in memories.